After a long week of chemo, things are going back to normal. Saoirse is as happy as ever, playing and laughing and walking more and more. My treatment went well, and other than being tired, I'm feeling pretty good. The next couple of weeks are a bit crazy. Saoirse is being prepped for her stem cell harvest, so she's getting double her white cell boosting medicine. I'm hoping it doesn't cause her too much extra bone pain, but that's what we have to look out for. Next Friday she will have an evaluation by someone from the collection team, and then she will have the harvest one or two days after the 4th of July. The only thing I think that will be a challenge for her harvest is keeping her confined to a crib for hours while keeping her entertained. It may take some creative planning and a lot of dancing and singing, but I'm sure we'll get it done. After her collection she has more scans to see how her tumors are shrinking and another bone marrow biopsy to see if there is any change. It will be nice to see how much improvement there is inside to compare to what we're seeing outside. 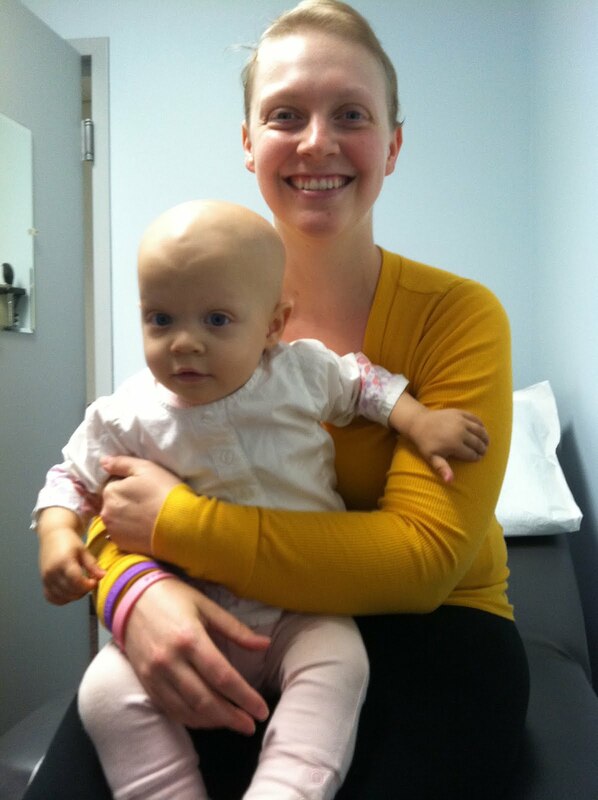 The doctors are really happy with her appearance, so we're hoping that transfers to what we see on the scans. It's hard to wait for all the results, but there's nothing we can do about that. In other news, I'm still in an awful battle with the pharmacy that supplies our white cell medicine. I haven't been able to get my prescription correctly yet from them, and currently they are denying that they owe me the rest of my medicine from the last shipment. Currently I'm pretty sure that they took information from Saoirse's file and transposed it onto mine, making it so that I can't get my medicine on time. I've been trying for weeks now to get it straightened out, but they are refusing to admit that they made an error and are blaming my doctor's office for the mistake (I have talked to my doctors office who say that none of their paperwork shows the "21" day cycle note that curascript says it has on the original prescription). I'm pretty sure that Curascript called Saoirse's doctors to find out a cycle duration by mistake and fouled up my whole account. I just want my 5 vials of medicine without paying for them again! I just can't believe how many time's I've had to call and talk to these people. Their customer service is horrible. I just hope I can get it figured out by the time I need my meds. I just don't need the extra frustration right now. Hopefully the weather will start getting nice again this week so we can do some fun things outside. It's so much fun to see her explore the world outside. I think it helps when she spends as much time outside when she can, since she'll be cooped up inside for many of her treatments and tests. She loves the outside, so I want her to be able to get out there as much as possible.